Home » Why are we avoiding Glyphosate? As a consumer of organic products, chances are you’ve heard of glyphosate, the primary active ingredient in the world’s most popular herbicide ‘Roundup’. Monsanto synthesised the original molecule, but the patent has now expired which means that glyphosate can now be found in numerous varieties of herbicide used all over the world. 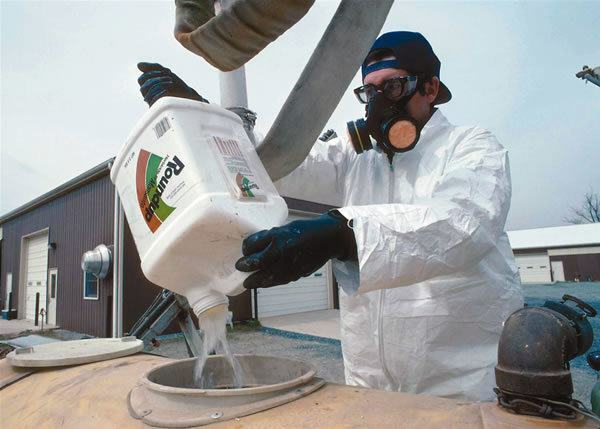 Glyphosate has been used for 40 years for effective weed management in both agriculture and lawn maintenance, but it does in fact kill most plants. It works by inhibiting an enzyme (cytochrome P450) that is essential to plant growth. This enzyme is not found in humans or animals, which Monsanto claims contributes to the low risk to human and animal health and provides a basis for a specific selective toxicity to plant species. Glyphosate is deemed to be safe for humans, pets and the environment by regulatory and scientific authorities such as the United States Environmental Protection Agency and European Commission, and according to Monsanto, over 800 studies have been conducted that confirm the safety of glyphosate. If Glyphosate is indisputably safe, then why or so many people choosing to buy organic food and products free from herbicides such as Roundup? Some studies suggest that glyphosate has carcinogenic potential when high doses were administered to laboratory animals, while others have associated glyphosate with non-Hodgkin lymphoma. Glyphosate exposure has also been linked to developmental and reproductive effects in pregnant rats when high doses were administered repeatedly. Studies involving life-long exposure in rodents have also demonstrated liver and kidney disfunction. A significant paper published on MDPI titled Glyphosate’s Suppression of Cytochrome P450 Enzymes and Amino Acid Biosynthesis by the Gut Microbiome: Pathways to Modern Diseases makes a disturbing discovery about glyphosate. Glyphosate’s claimed mechanism of action in plants is the disruption of the shikimate pathway, which is involved with the synthesis of the essential aromatic amino acids, phenylalanine, tyrosine, and tryptophan. The currently accepted dogma is that glyphosate is not harmful to humans or to any mammals because the shikimate pathway is absent in all animals. However, this pathway is present in gut bacteria, which play an important and heretofore largely overlooked role in human physiology through an integrated biosemiotic relationship with the human host. In addition to aiding digestion, the gut microbiota synthesise vitamins, detoxify xenobiotics, and participate in immune system homeostasis and gastrointestinal tract permeability. Furthermore, dietary factors modulate the microbial composition of the gut. The incidence of inflammatory bowel diseases such as juvenile onset Crohn’s disease has increased substantially in the last decade in Western Europe and the United States. It is reasonable to suspect that glyphosate’s impact on gut bacteria may be contributing to these diseases and conditions. Our systematic search of the literature has led us to the realisation that many of the health problems that appear to be associated with a Western diet could be explained by biological disruptions that have already been attributed to glyphosate. These include digestive issues, obesity, autism, Alzheimer’s disease, depression, Parkinson’s disease, liver diseases, and cancer, among others. While many other environmental toxins obviously also contribute to these diseases and conditions, we believe that glyphosate may be the most significant environmental toxin, mainly because it is pervasive and it is often handled carelessly due to its perceived nontoxicity. Skepticism surrounds scientific studies when the issue of funding arises. Who is paying for the 800+ studies showing glyphosate is safe? Monsanto is a publicly traded American multinational agrochemical and agricultural biotechnology corporation that has repeatedly found itself involved with controversies including its lobbying of government agencies. The company is known for manufacturing products such as Agent Orange and recombinant bovine growth hormone (rGBH), which is now banned in Australia. Monsanto has a reputation for controlling key players when it comes to gaining support for their products, being likened to the wolf in charge of the hen house. When a company has a long history of putting profits ahead of public health, the question has to be asked, can we trust them, their science, or the agencies that they pay, to provide us with unbiased data and to prioritise our health? Corn, soy, canola, cotton, sugar beets and alfalfa are targeted for genetic modification to make them resistant to glyphosate. These are also known as ‘Roundup Ready’ crops. While the crops themselves can now survive glyphosate treatment, some “superweeds” become resistant to the herbicide. 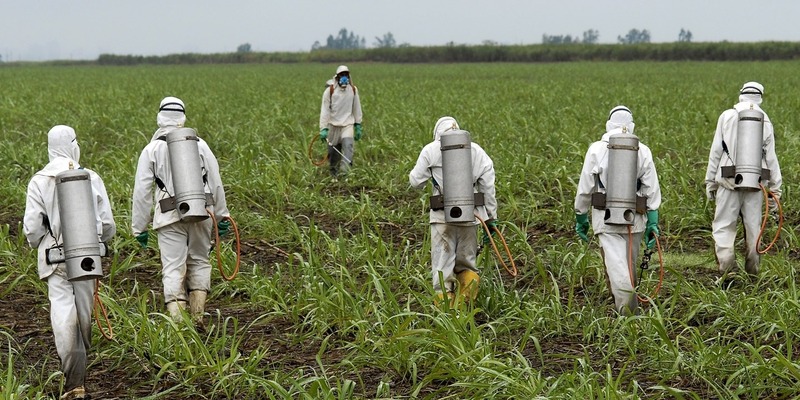 Twenty-four cases of glyphosate-resistant weeds have been reported around the world. Farmers have reverted to tilling their farmlands and spraying more toxic herbicides in addition to Roundup in an attempt to control the superweeds spreading across their farmlands. Many of the superweeds can still be killed by glyphosate if it is sprayed in higher doses, so farmers are spraying more glyphosate and other herbicides to combat the weeds. While this is much less labour intensive than plowing and handpicking weeds out of the soil, a report drawing from US Department of Agriculture data on pesticide use estimated that an additional 383 million pounds of herbicides have been used than if Roundup Ready crops were never introduced. This increased use of glyphosate heightens the likelihood of higher concentrations of the chemical running off into nearby ecosystems. At these elevated concentrations, glyphosate may be capable of causing environmental damage. Solvents, preservatives, surfactants and other substances added to herbicides are often referred to as “inerts”. Until now, most health studies have focused on the safety of glyphosate, rather than the mixture of ingredients found in Roundup. Scientists have found that Roundup’s inert ingredients amplify the toxic effect on human cells, even at concentrations much more diluted than those used on farms and lawns. So why are we avoiding glyphosate? Because we believe that our health, the health of the land and the health of the animals that we share it with is of the utmost importance. By choosing organic we are voting against spraying our food with synthetic herbicides, genetically modifying our crops to withstand synthetic herbicides, and feeding livestock potentially toxic foods that make them and us sick. We support farmers to produce food in a natural and sustainable way. Even if Monsanto’s claim that glyphosate and Roundup have been proven safe over the last 40 years is correct, many of us will consume food for a lot longer than that. Have studies shown what 80 years of Roundup consumption will do to our bodies, or are we currently the guinea pigs in this large-scale study? The best part is we have a choice whether we participate or not. 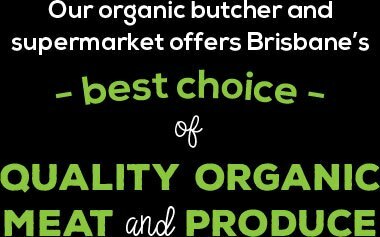 We look forward to seeing you in store soon for your organic meat, produce, groceries and self-care products.